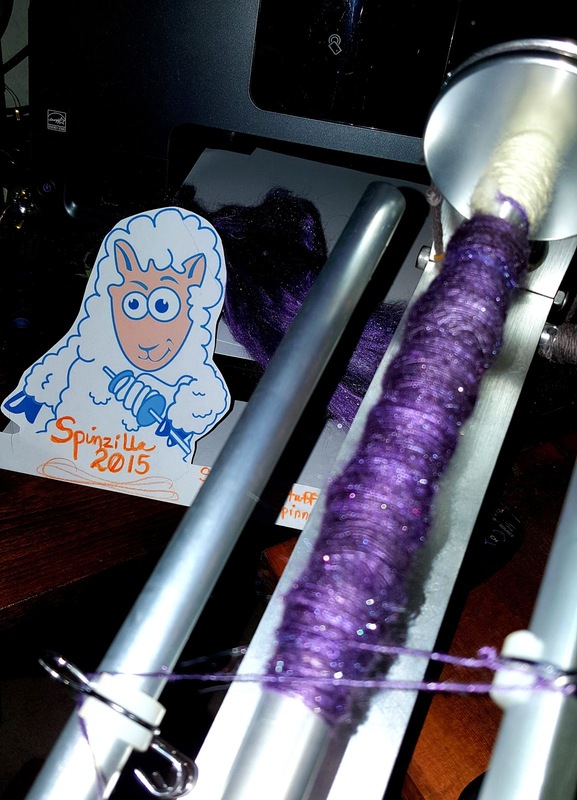 Spinzilla 2015 - End of Day 4...from a Disabled Spinner's Prospective! I apologize for getting this up late. Normally at the end of the day I post everything from my day of spinning but I was so tired last night, I just fell off as soon as I got in bed. For those of you that follow Healing Fibers, you know that is a rarity. My body doesn't often let me lay down before 5 or 6 am in the morning so an early night is a special treat. I had a good day spinning yesterday. Day 2 found me in a lot of pain with terrible rub marks on my ankles which caused me to have to spin without shoes on Day 3. By the end of Day 2 I wasn't sure I was going to be able to complete my plying but I pushed on and got it done. Day 3 ended up to be recovery going slowly and keeping track of my limitation but still working toward my goal. By the time I reach Day 4, yesterday, I was doing better. 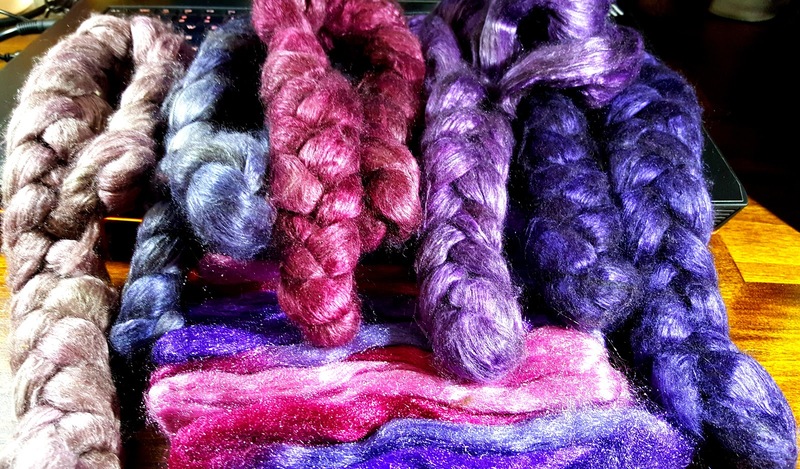 Yak/Silk Blend with matching Starfire to give it some sparkle! I wore my shoes again, using thicker socks and not tying them as tight as I normally do. Having my shoes on gives me more control of the wheel since the weight of the boots on my feet actually makes powering the wheel easier. I have been learning little tricks as to how to make the wheel do what I want it to, even if my legs don't want to cooperate. Where there is a will, there is a way! 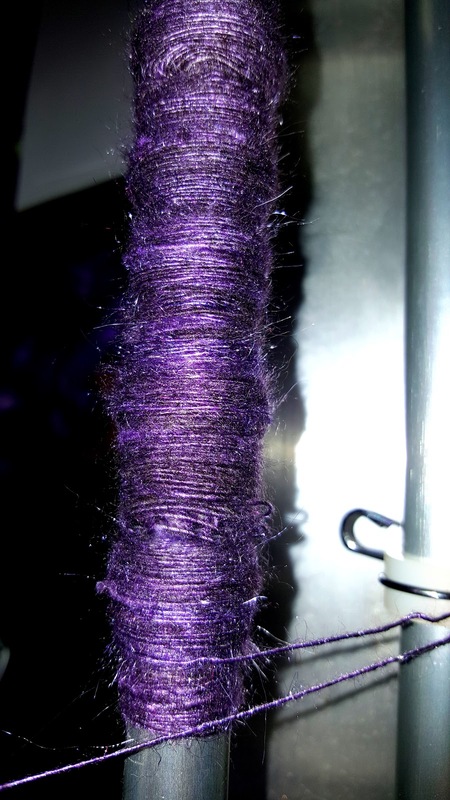 I was able to spin up some beautiful Yak/Silk blend in Purple that I am going to make into a scarf for my husband's precious Aunt. It is the first time I have spun for a specific project and I have to admit to being a bit nervous. single to be double plied. 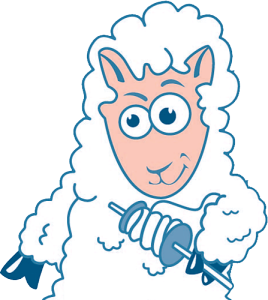 I am spinning for a Laceweight, 45+ wpi, in a Woolen, Point of Contact and will 2-ply the yarn hoping for a lovely drape. I am very excited to see how this turns out. I am continually checking both the single girth and checking the plied sample I made so I keep consistent. I spin one single bobbin yesterday and hope to spin the second bobbin so I can ply them today. I have five colors so I can make a color blocked lace scarf. They are subtle, elegant colors that will hopefully flow into each other and make a beautiful scarf for a truly beautiful lady.